Kitchen Remodel Phase 2 - Bye Bye Betty Draper! Oh how I have been waiting to share this post with you!! 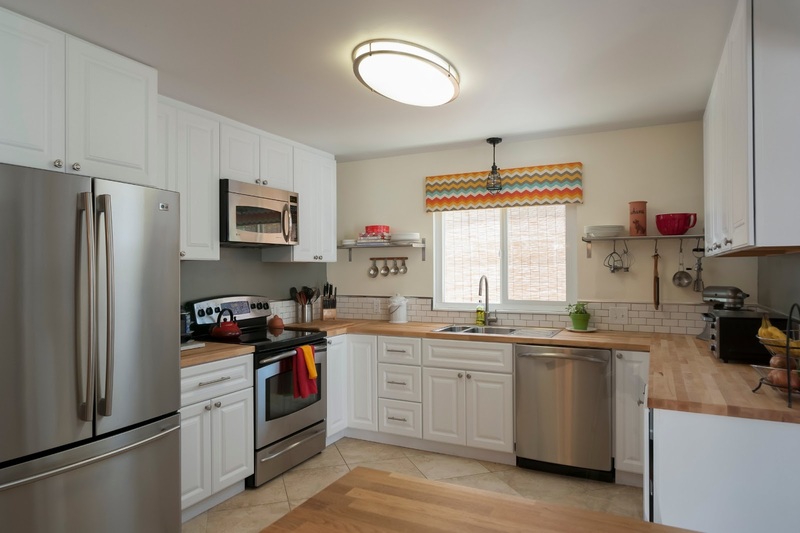 I can't tell you how much I have been LOVING our new kitchen. It makes me a bit sad to leave, but I am still so excited for our new adventures to come. And....considering The Cyclist is this handy I see yet more renovations in our future. Are you reading this Cyclist? We actually started this project back in 2011, when we completed Phase 1. 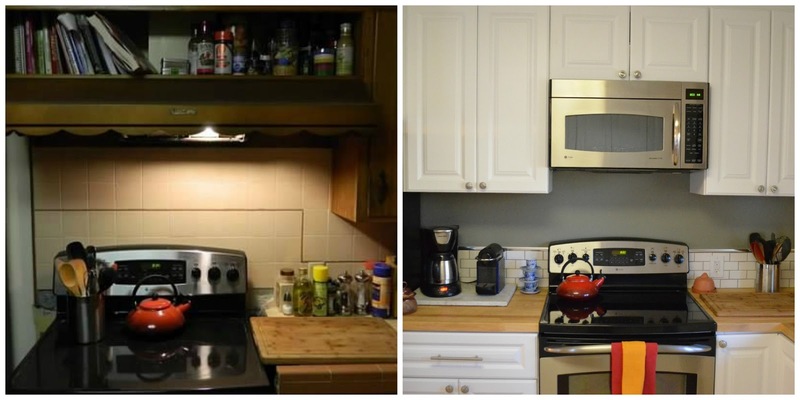 Although I shared with you back then that we suffered from a Betty Draper kitchen but I didn't share all the details. Seriously, I am so excited. Can you feel it?! OK, I'll stop typing now! 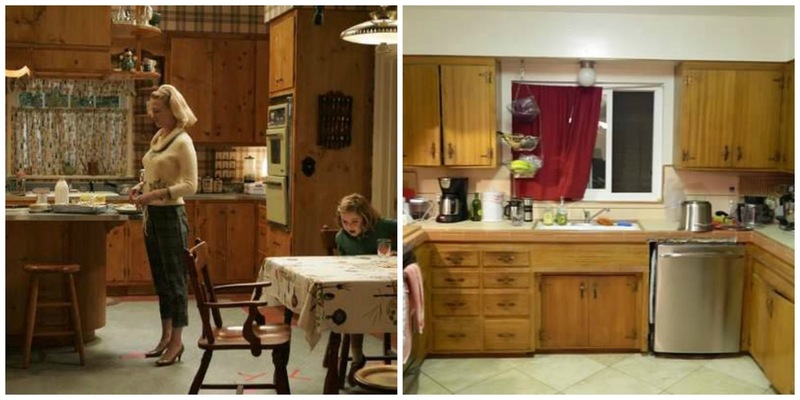 By the way, remember how I said our old kitchen was like Betty Draper's? I actually think hers was nicer! Anyway, let's keep looking at the before & after's shall we? This has been one crazy ride! I think we are both shocked at how good it turned out. 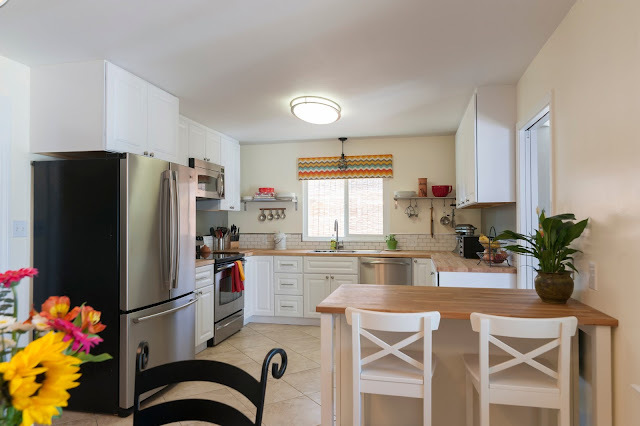 I mentioned yesterday we are selling our house, so if you want this kitchen to be yours, shoot me an e-mail and I will send you the details. 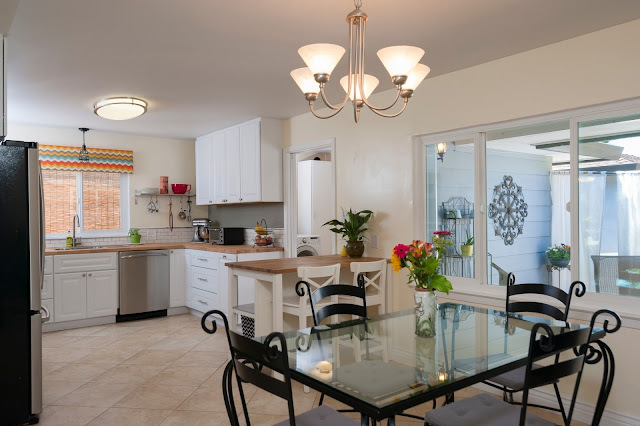 I also have to give photo credit for most of these beautiful shots to Dale Charles at Compago, who our Realtor hired to take the shots. Now, I will go create things in this kitchen before it is no longer mine! Hi there my friends, it has been a long while. There has been a severe shortage of posting over here in the last couple of months and I am looking forward to re-opening this creative corner of my life again. 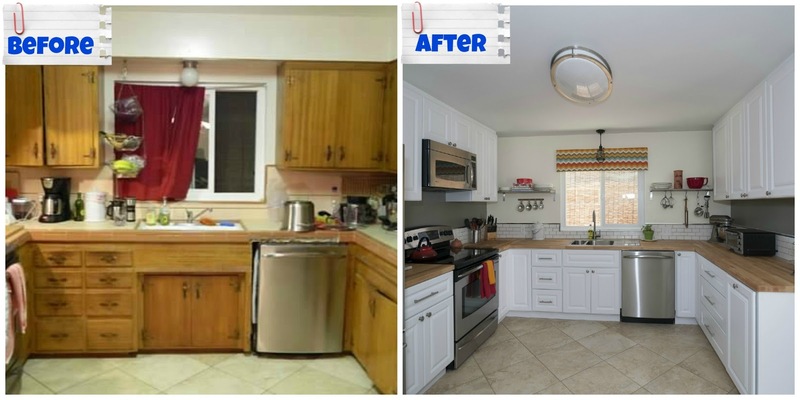 My excuse during this time of absence was that we were remodeling our kitchen, but that was not the only thing going on at our house. 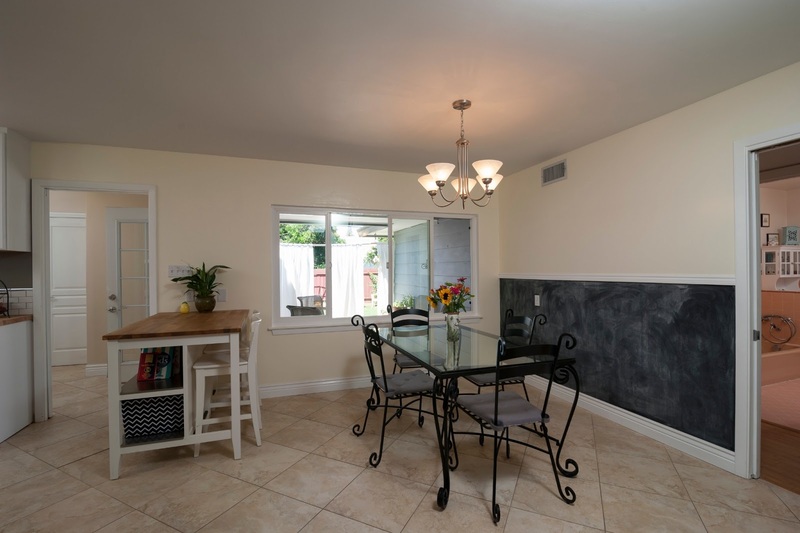 In addition to the kitchen remodel, we finished years of projects that were never all the way completed (anyone who DIY's house projects feels my pain) all because we are officially listing our house for sale! It is an exciting time in our lives. To be quite honest, I don't know that either of us has ever worked so hard before. Work. Come home. Paint. Hammer. Glue. Sand. Go to bed. Repeat. 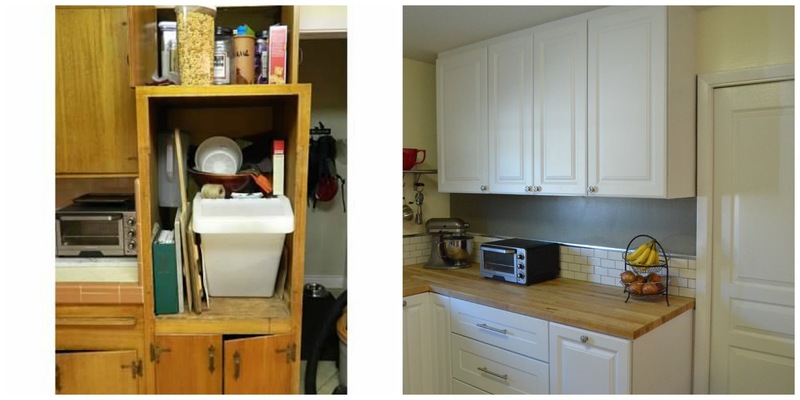 As if remodeling the kitchen and selling the house wasn't enough, we completed this mission during The Cyclist's last semester of school, in which he also completed a massive senior project. While he spent hours in the lab (on top of everything else) I was on Munchkin duty. I commend all single parents because it is a hard job to do by yourself, even part-time. One of the many positive things that has come from all of this madness is eating out. Even though increasing our restaurant dining was harder on the wallet, it does provide some inspiration. A dinner at Red Rabbit introduced me to my first taste of farro and got my mind churning.....we could eat this for breakfast too, right? Yes, yes we can. Farro is "the grains composed of certain wheat species" and I've also heard it referred to as one of the Seven Ancient Grains. It is similar to oatmeal, but a bit thicker and chewier. I bought farro at Trader Joe's and my local co-op. 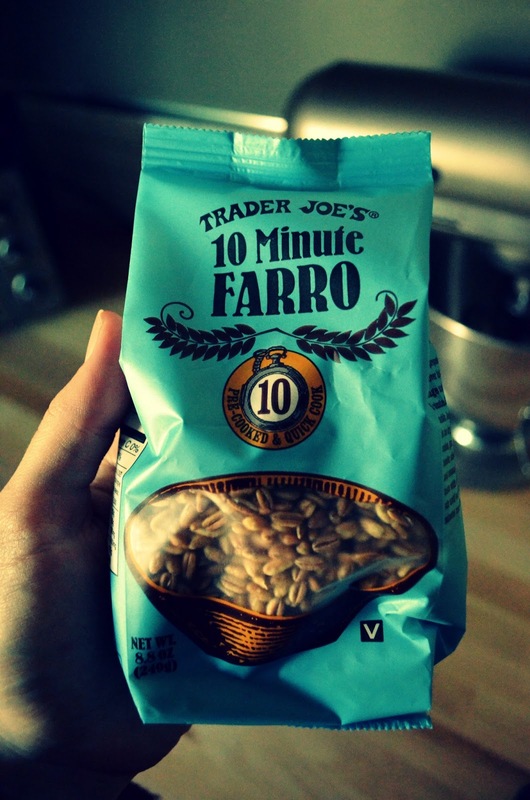 The Trader Joe's version - 10 Minute Farro is more convenient for this recipe simply because it cooks faster. I am typically in a hurry in the morning, so using the TJ's version is just easier. In my opinion both types taste the same. I got rave reviews for this breakfast in my house so we have had it several times since creating the recipe. I have since added fresh apricots to the mix (caramelized with the bananas) and it is delish! This is a good recipe to experiment with seasonal fruit. I like leaving the strawberries fresh (as opposed to caramelized because their cold sweetness adds to the overall texture. Additionally, this has been kid tested and given thumbs up by The Munchkin as well. I hope you enjoy! Combine farro and water in a pot and begin cooking on high. Watch out, once boiling it will boil over. Continue to cook for about 7-10 minutes on medium-high heat once it starts boiling. (This is the way I cooked it, I honestly did not read the instructions on the package, so they may say something different). While the farro is cooking, slice banana and strawberries. Melt 2 teaspoons coconut oil in a skillet on medium heat. 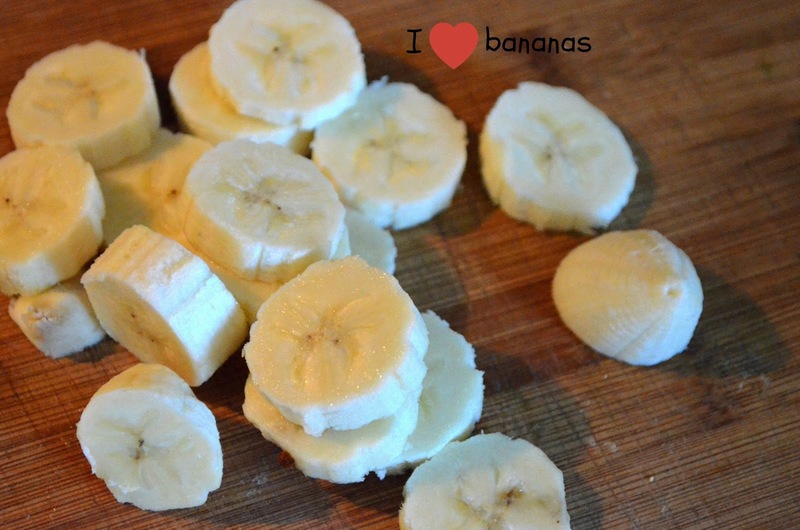 Add sliced banana and stir. Add tablespoon of brown sugar and stir to coat banana slices. Continue to saute until banana slices are slightly browned. Remove from heat. Drain any remaining water from farro and give it a stir. Return pot of farro to stove on low heat. Add 1/2 can of coconut milk and stir. Continue heating until coconut milk is fairly warm. Add cinnamon and salt. 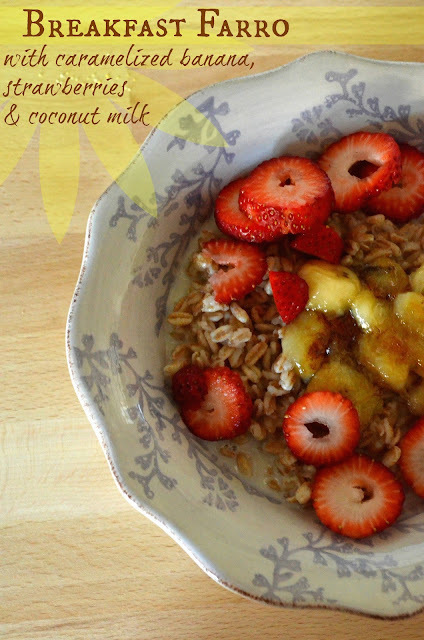 Spoon farrow into bowls, top with caramelized banana and cold strawberries. Serves 4 small servings, 2 large servings or Papa Bear, Mama Bear and Baby Bear juuust right. Strawberries, margaritas and Mom's. These are a few of my favorite things. I have been obsessed with strawberries since I was a kid. I'm sure part of that had to do with a certain doll named Strawberry Shortcake, but I wouldn't leave out the dessert either. 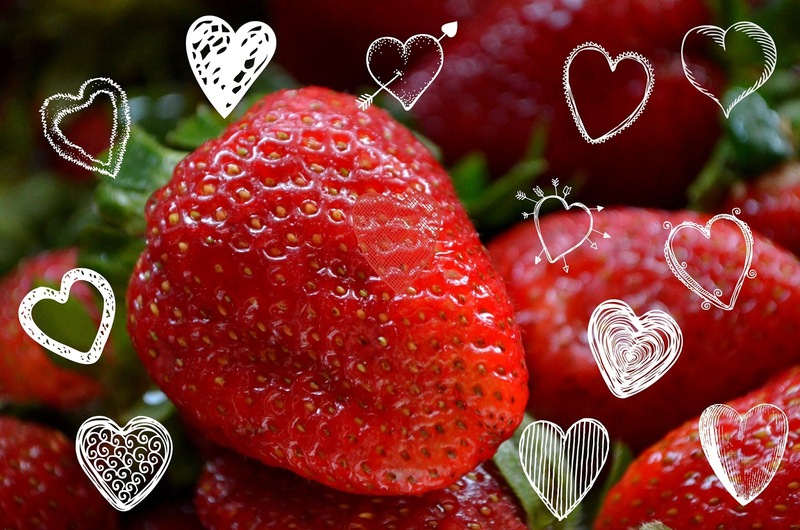 The sweet little strawberry has always been my favorite fruit. As we are approaching Mom's Day I thought it would be fun to do a post with my mommy, otherwise known as IronMom. My mom is a strawberry lover too, so I wondered, what could we do with this delicious little fruit? Eating it by itself is always a good option, but we made you two delicious things instead. 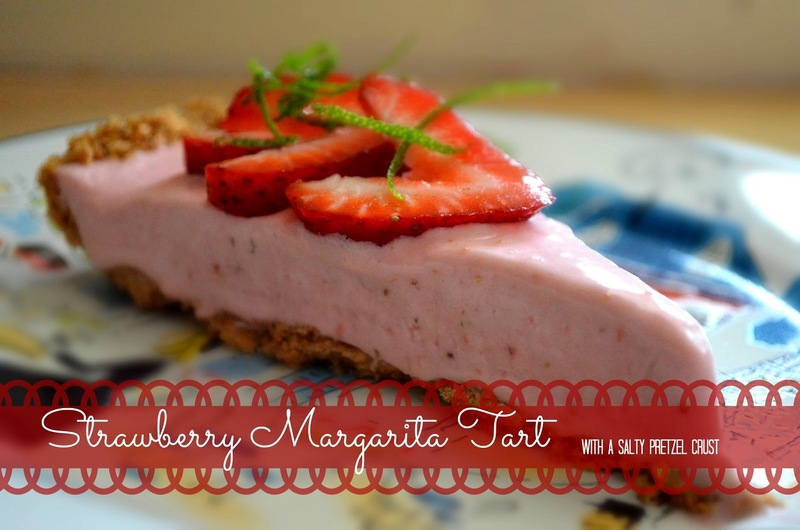 A frozen dessert, with a hint of tequila, Cointreau and lime gives this creamy strawberry tart a refreshing taste. Add to that a salty pretzel crust and the deal is sealed. Don't forget to share it with your mom!! Now, because we bought a ton of strawberries, we figured we should make something else for you too. Next up (because when you have delicious strawberries, tequila and Cointreau at your fingertips), Muddled Strawberry Margaritas! Muddling with your mom is fun. Sharing a cocktail with your mom is better. 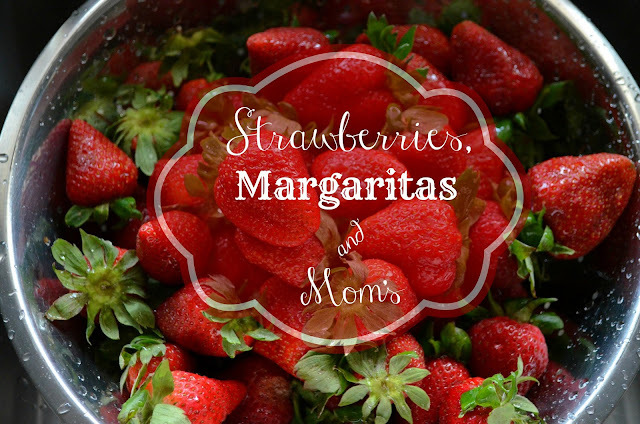 So, however you enjoy your Mother's Day, with strawberries, or tarts or tequila, enjoy your mom. I hope all of you are so lucky to have a mom like mine. 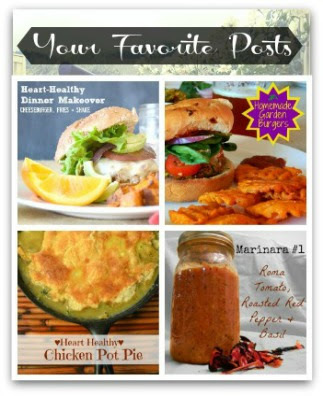 I bought all of the ingredients for this post at my local Save Mart in Sacramento (Folsom & 59th). I must say, these were the best and sweetest strawberries I've found this season! Start by making the crust. 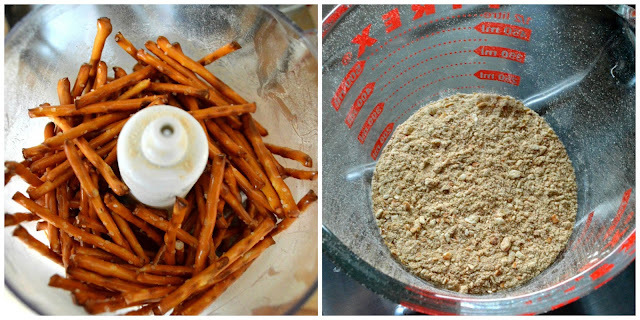 In a food processor blend the pretzels until you have a fine flour. Transfer to a mixing bowl and add brown sugar, mix well. Add melted butter until combined. Press into a greased 9 inch tart pan with a removable bottom. I recommend greasing with a cooking oil spray. The consistency will be crumbly. Place in the freezer to cool. In a blender, combine all of the ingredients and mix well. Once the filling is mixed and the tart crust is cooled, pour the filling into the crust. Do not remove the crust from the pan yet. Remove from freezer and let it defrost until the filling becomes firm, but not completely frozen. Removing the tart from the pan is a bit tricky. Tap the removable bottom with the handle end of a butter knife to loosen the freeze and remove it very carefully. Don't rush. This is where I should have listened to my Mom and been more patient! Top with sliced strawberries and lime zest. 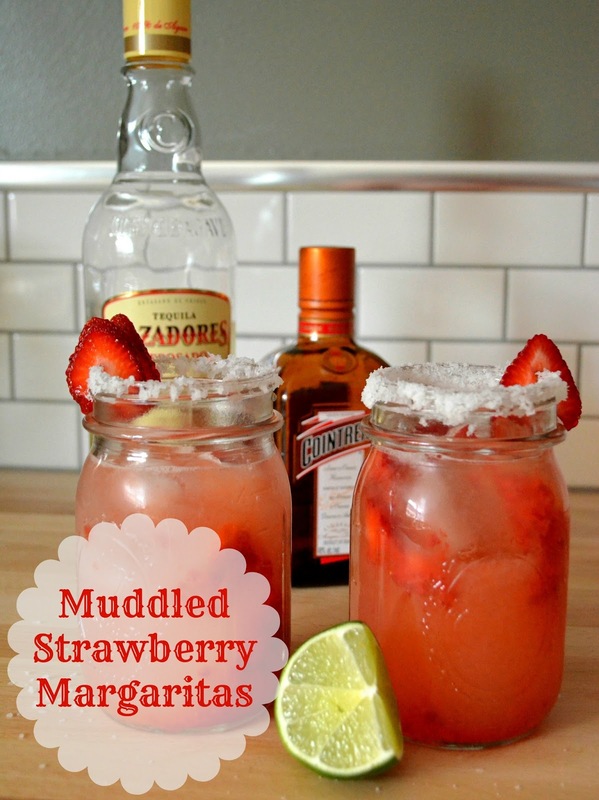 Muddle your berries. 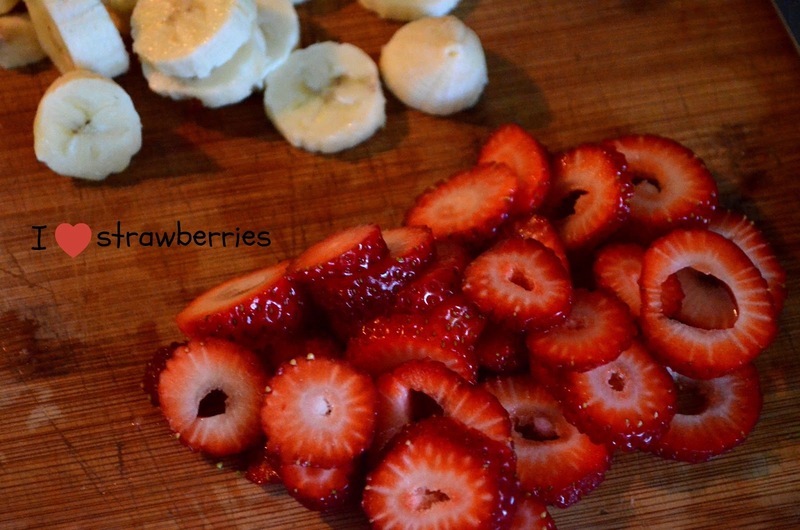 Add water and sugar to strawberries in a bowl. 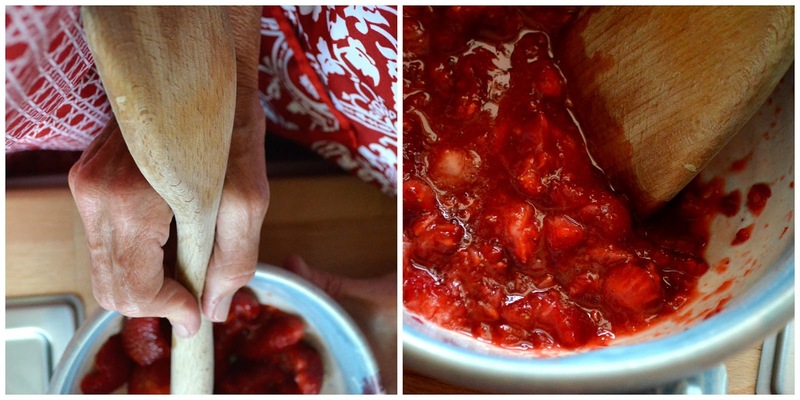 Use a wooden spoon and smash those strawberries until there are only a bit of chunks. 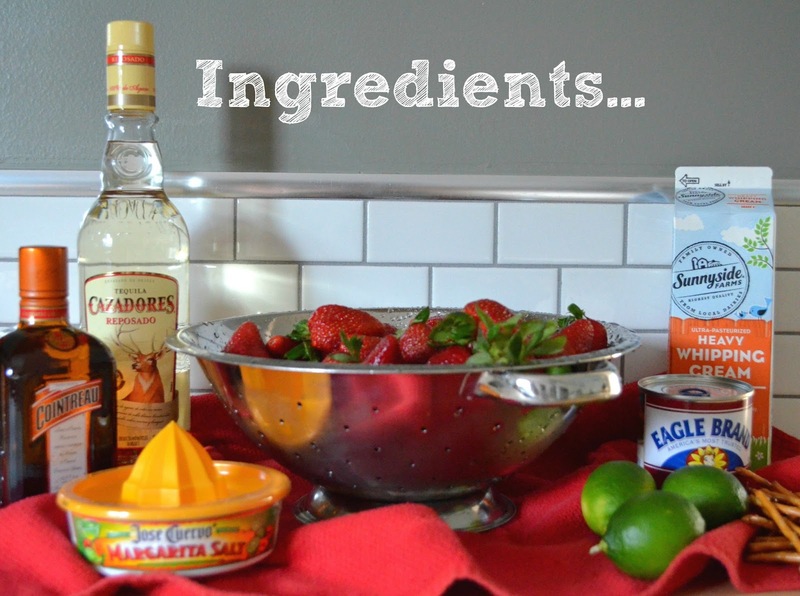 Mix the remaining ingredients well. Salt glasses and place ice inside. Spoon strawberry muddle over the ice. *This makes about 4 margaritas. I was compensated for this post, however all opinions expressed are completely my own.